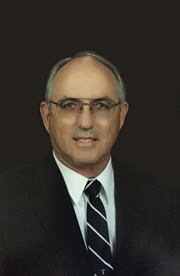 I am Paul Cagle and I attended Northeast Alabama Community College in the late 1960’s. I then went to Jacksonville State University. I worked for Farmers Telecommunications Cooperative for 41 years. I have had a cattle farm in Fyffe since 1992 and with a cow-calf operation. I am married to Patricia (Kennamer) Cagle and together, we have four children and eight grandchildren. I was elected to the Fyffe Town Council in 2012, then in 2016 I ran unopposed for Mayor. I think this is a great place to live and I hope to serve the people of Fyffe to the best of my ability.